“The old adage ‘practice makes perfect’ is incorrect. 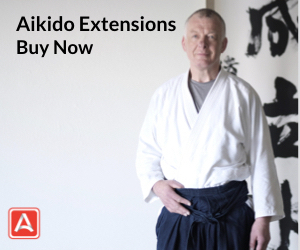 I’ve been doing various martial arts for well over 35 years and concentrating on aikido for about 20. 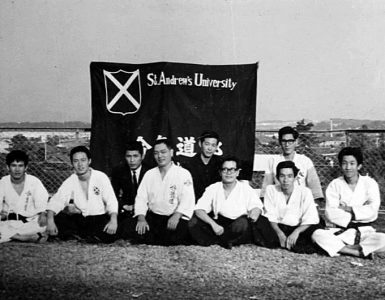 I found aikido while searching for a martial arts style that was ubiquitous enough that I could easily slip from one dojo to another as first my schooling, and then my career moved me about the country. Naively I thought aikido would open up a world of standardization where all dojos taught the same techniques the same way. It didn’t take me long to realize the myriad of flavors among dojos and aikido organizations. My profession continues to move me to new cities on the average of every five years. During my aikido journey I’ve been a formal member of seven dojos, three major organizations and attained the rank of nidan. I’ve also attended many national and regional gasshuku and workshops and visited numerous dojos as a guest while traveling for my work. I currently have the fortune of training semi-regularly with Sensei Stan Pranin with a small but eager group of students in his garage. One of the many unique things I’ve found in aikido is the openness of most dojos to visitors and prospective students from other organizations. During the past 20 years I’ve only once been denied access to the mat to train with a regular class as a visiting aikidoka. That in itself is amazing considering our litigious society. I provide this background on myself to give some context to what follows. If a dojo or instructor has the generosity to open the mat to us as a visitor or student we owe it to them to do things their way on the mat, not how we’d like to see them done. 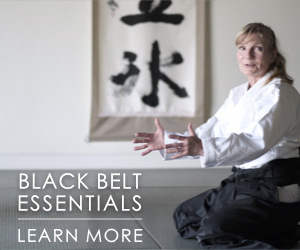 When entering a dojo it is critical to not only begin with an empty mind but to leave it open to new ideas. That seems obvious enough on its face but it is much more difficult to accomplish on the mat. My history with aikido leads me to conclude there are two factors that must be overcome to truly embrace an open mind; muscle memory and ego. The old adage “practice makes perfect” is incorrect. Rather, it should read “practice makes permanent.” When we learn a given technique or simple movement we repeat it many times. The intent is to ingrain it in our minds so that it is second nature. As simple example is to cross your arms in front of your torso, then uncross them and recross them with the arm that was on the bottom on the top. You’ll most likely feel very uncomfortable crossing your arms in a manner you are not accustomed to. That is muscle memory. Eventually we hope to do our aikido movement without thinking about them, particularly should the need arise during a martial application. This is fine until we have the movement ingrained and then encounter someone that does the movement differently than we’ve been taught. It is important to note that differently is not necessarily incorrectly. If we do not consciously consider every nuance of the newly demonstrated method our bodies will unconsciously revert to what we know and have practiced best. In my experience, this is much more difficult when relearning a move than when learning it for the first time. In the latter case, before one can learn we must erase or at least overcome our previous experience. As difficult as muscle memory is to overcome it can be done. It simply takes the same strategy as was used to build it the first time: repetition. A more insidious and difficult hurdle is our egos. Everyone has an ego. Some just happen to be larger than others. It’s important to recognize our own and accept it but not let it control everything we do. When I’ve been a new student in a dojo I’ve found it very common to second guess an instructor in my mind as he or she demonstrates a technique. That’s natural. It is however critical to recognize that the person at the front of the mat has earned that privilege and it is irresponsible and disrespectful to challenge that status during class. Similarly silently resisting the new method while training with your partners and consciously reverting to the tried and true way you’ve done it at your last dojo subverts the very reason you joined the new school, that is, to experience new ideas. If you are closed to new ideas it is best for all, including yourself, if you leave. That is not to say you should stay with a school if you have no conviction that you are learning anything of value. However, I suggest you won’t determine that until you’ve made a commitment to practice your aikido as taught in the dojo for several months or longer. Even then you’ll have to closely examine your own motives and faults and consider if you are not learning because you are resisting the instruction. Finally an empty mind does not mean a stupid mind! It is important to understand why we do a given movement or why a technique forces uke to move or react a certain way. Techniques don’t fail because uke didn’t respond correctly. They fail because nage did not execute the movement so that uke had no choice but to respond in the expected manner. Thank you for your indulgence. I look forward to any comments. Outstanding article about visiting other dojos. I used to work for an airline and I have visited over 30 dojos across the country, I don’t travel without my gi. Just about all places have welcomed me with open arms, there was one place many years ago that told me that they didn’t take visitors. Oh well, I must say though, there always seems to be one person in the class that feels a need to test me by not cooperating with the demonstrated technique. I would recommend everyone to visit as many dojos as possible and especially ones that aren’t in your federation, it’s a great learning experience. Two observations came to mind reading this blog. One … training in a GARAGE with Stanley Pranin ..
Two … Doing things the way the teacher is teaching, especially when visiting dojos. I am a fan of training anywhere and any-place possible, but I also recognize that it is a sign of the times as some of us are not doing so well economically. What a shame more of us couldn’t build a training hall and not have to rent commercial space with commercial insurance,and all the exteraneaous bills that go with renting a space. I think many teachers miss out training some really exceptional people that could make a big difference in the world, or at least in the community they live in. I am not talking about those people being exceptionally skilled in Aikido, but people who make a big difference in the world around them because they have gained a positive attitude about life and their community and they make a difference in the lives of people they meet or encounter every day. Sure, it would be a better world if we could pick and choose our students .. ignoring the yoke of financial responsibility, but that ain’t happening in most places, is it … just a thought. And yeah, Item number two, I have been in violation of not doing things the way a teacher is teaching because my training takes over and I am in trouble trying to get back to the original technique the teacher is teaching. Mentally, I am slapping my brain around as I start to mumble,” … this ain’t what I supposed to be doing.. ” as I apologize to my practice partner and try to get back on track with whatever the teacher has instructed us to practice. I have gotten many a strange looks from different instructors as I struggle to get back on track and imitate their instruction, especially at seminars. IT HAPPENS .. and it happens a lot! I don’t mind practicing differently … if .. and that is a big if .. if it leads to something new and important, but when it goes nowhere and is almost impossible to transition from … I wonder .. what the hell are these people doing! Most times .. your new practice at some strange dojo is to teach you to transition and learn something new, to give you an open mind that is familiar with another situation thereby providing mind, and body, with more options. The realization that you are struggling to learn to adapt to a different environment, a different situation may be a struggle at first, but once you get past the rigid mindset that all your previous training has a solution to what you will encounter, it becomes easier to take in the new system and new problems .. thereby emptying your cup of the rigid thought,not giving up what you have learned but ADAPTING IT to what you are learning. That is the key to all this talk about some magical mystical method of adapting to a new system of martial arts practice. The mind must not be so rigid that it locks up the body with a stiffness, or bad communication of mind and body that leads to breaks in transition. For me, it becomes a matter of letting the unconscious mind and the conscience mind communicating, neither one taking control but both learning from each other. Until you realize how the mind thinks on more then one level, and you realize that you are dependent upon that duality of thinking working in harmony to achieve the highest practice you are capable of. It then becomes a matter of coming to grips emotionally that this is what you can do. You have reached your highest level you can do. You will never be able to free yourself of the rigidity of thinking that restricts your training, keeps you from realizing the highest technical practice you can possibly achieve … until you do. Why else would we treasure different teachers who have extraordinary skills in their particular disciplines? 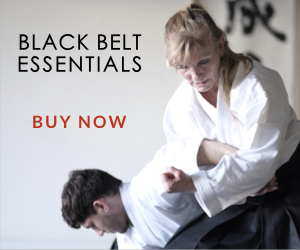 Not everyone can have a variety of skills, their minds are not capable of the transitions to the many different styles of martial practices. It just is .. what it is. The lights are on but nobody is home … might take on some real meaning when you grasp the reality that … your brain really is running more than one program … especially when things click in practice or that brilliant idea comes to you from out of the blue. In the last few years my lights have come on. I realize that the strange and mystical… is just the human brain grasping the science of the universe, the world around us as best it can, and the words are that individual person’s attempt to describe what they think or have discovered. But, it is history or science, or simply an interpretation of the world around us, not some mystical words that have some universal meaning. Improving the muscles and capacity of the human body will give you an advantage over most opponents, or sending signals to your practice partner or opponent that negate their best efforts, be they overt or subliminal, will give you and advantage. There may be a type of imagined magic, but there is no magic when you break down the science. If you change the conditions enough .. you can overcome just about anything. Question is .. do you know the parameters of what you have gotten yourself into and can you change those conditions enough to have a positive outcome for yourself? That is a piece of what you are learning for Aikido, to use what is front of you, change the conditions in your favor, and to have a positive outcome, isn’t it? It should be. Train in a garage … probably the best memories you will ever have. Don’t take it too seriously if a teacher corrects your mistakes .. just try to realize why you are making those mistakes. I started ‘branching out’ early in my career. It probably hurt my chances of promotion. It also probably improved my aikido. As with anything there are strong and weak aspects to ingraining a form into muscle-memory (ballistic motion). The better the form, the stronger the advantage it imparts. When I taught (aikido) in the Chinese Kenpo school, the seifu had a number of really good points. One of them was that the combatant who was stronger in their form wins. So if the form is good, and you’re good at it, you have an advantage. Less apparently is the advantage of adaptability, flexibility, that comes from learning different interpretations. 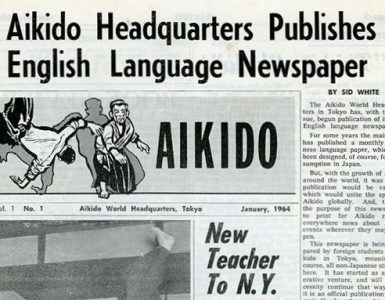 Probably the least appreciated (at least here in the USA) aspect of aikido is ukemi. I was once lucky enough to have half an hour or so of Terry Dobson’s time working on sutemi waza. Kaeshi waza, is fundamental to real situations and sutemi waza is fundamental to kaeshi waza. Without really good spontaneous and survivable ukemi, neither works very well. 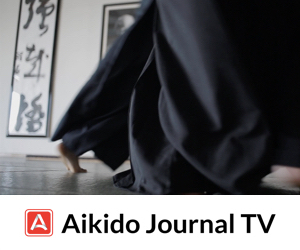 Training different variations of aikido can help your spontaneity. I haven’t had the privilege of training with Stan Pranin Sensei in decades. It was wonderful then. I still attribute some of the things he taught when teaching them myself. While I find the whole concept of Las Vegas a little frightening, amidst that hectic unreality, am sure he provides an oasis now. Thanks for articulating what it is like to move from one dojo to another. I’m now training in my 4th style in 10 years. I’ve found all the same benefits and challenges as you, and it’s nice to know I’m not alone in that.